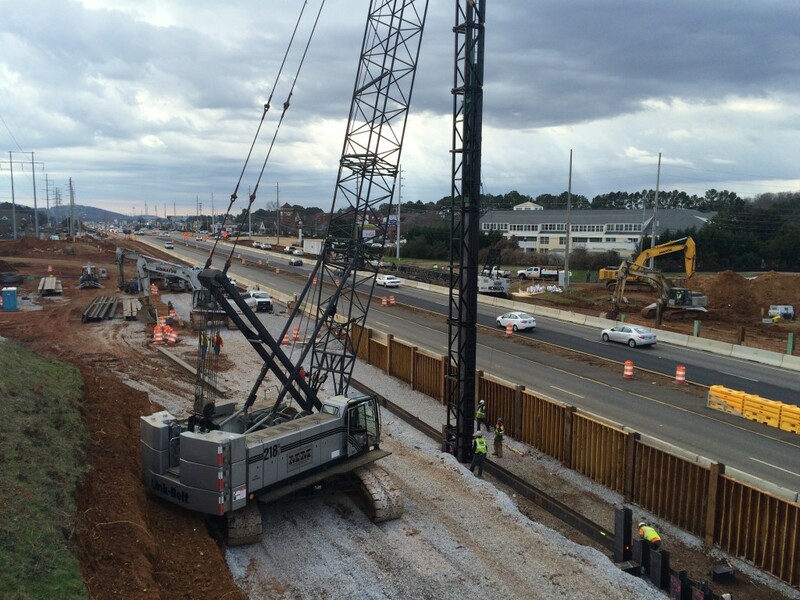 Driven Piles – Heavy Highway contractor Huntsville AL | Miller and Miller, Inc.
Miller & Miller Inc. is currently installing approximately 31,000 LF of steel HP 14 x 89-piles for bridge structures on Martin Road. 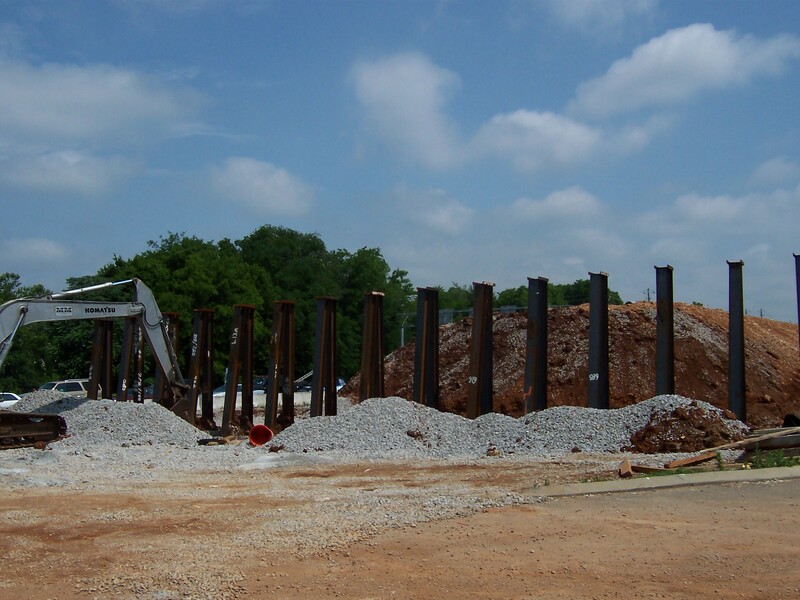 Quick installation of piling have helped maintain the accelerated project schedule. 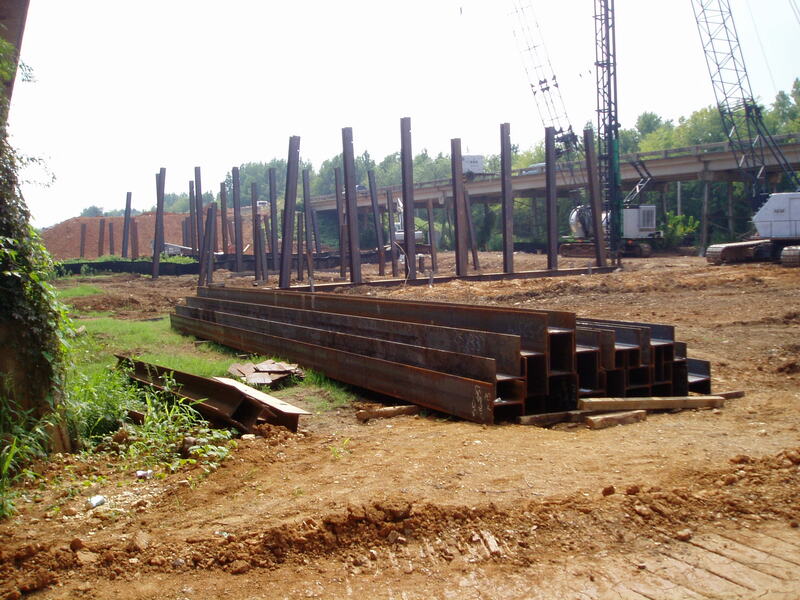 Miller & Miller Inc. has performed wooden and steel pile installation for various clients both public and private. 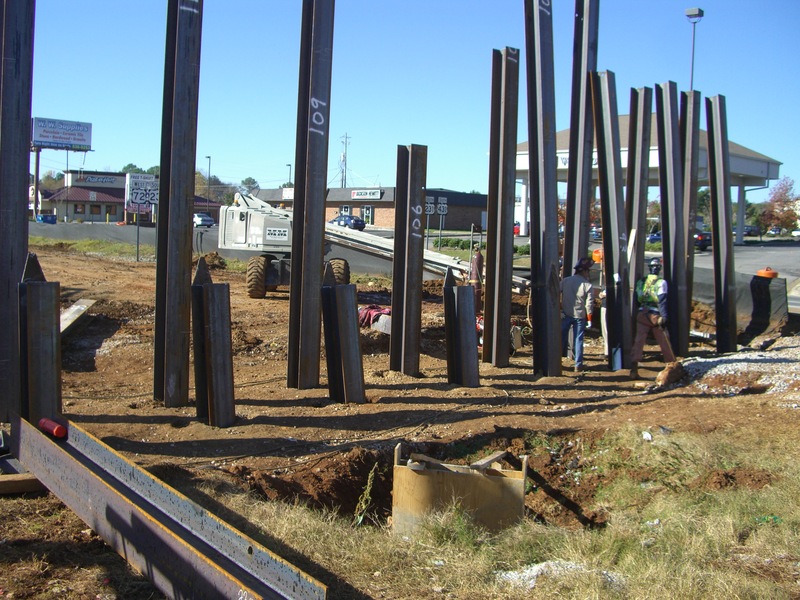 Miller & Miller primarily performs pile installation on bridge structures, but have installed piles in building foundations, under large scale machinery within manufacturing plants, as well as various utility support applications.